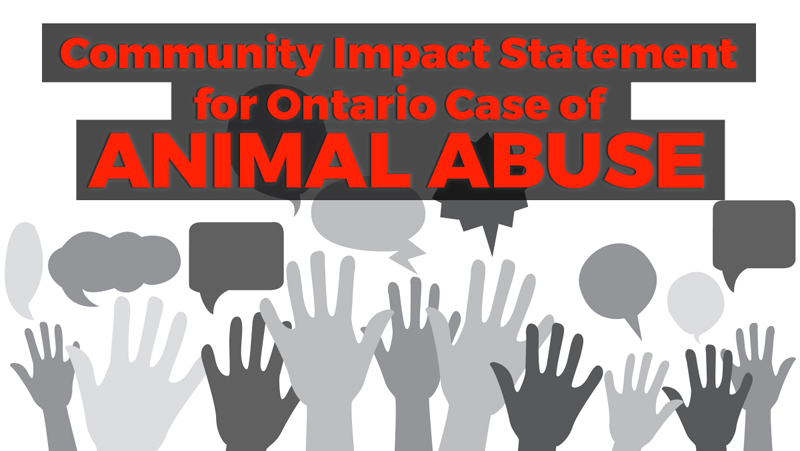 The Ontario equestrian community has been in shock and dismay since the news broke about a horrific case of animal abuse and neglect at a Stouffville area farm in May. When Ontario SPCA officers arrived on the scene, they discovered seven dead horses and 15 emaciated others, locked in their feces-filled stalls with no food or water. Within days, additional carcasses were discovered, bringing the death toll to 13. Since then members of the public have been up in arms, expressing their disgust and anger toward the accused – David Lee Small, his wife Victoria, and their son Jason Leroy. Protestors have gathered at court in the hopes of confronting the family, who have failed to show on two occasions. Groups have been created on social media, petitions are circulating. The equestrian community wants justice. Criminal litigator D. Sid Freeman, herself a local dressage rider and competitor, noticed the outcry on social media, and has decided to step up to help. On a pro bono basis, Freeman has offered to draft a Community Impact Statement, to be presented to the court at sentencing for each person charged if they are convicted. “I made the decision to offer my services for a number of reasons,” said Freeman. “One is that I was concerned about the level of misunderstanding I was seeing in social media posts about how the court system works and I wanted to ensure that members of the equestrian community understood the process so that they could better understand what was happening, why it was happening, what the outcome was, and the underpinning reasons for any future outcomes. “I am a litigator of 24 years of experience and, having conducted hundreds of trials myself, I believe I can help guide the community through this case. As someone who works within the court system, I know how important a properly functioning court system is to our democracy and how easily the public can lose confidence in the court system if they do not understand what it happening, particularly with cases like this one. “Another reason I offered my services is that I was concerned about the level of dismay I was seeing in the equestrian community about this case and the large number of people who wanted their voices to be heard, but who did not know an effective mechanism for making that happen. I saw people I care about signing the petition, believing it would help in the sentencing, when I knew that it would not, and I wanted them to have a chance to have some level of input so they could feel they did something for the horses that died instead of being angry and frustrated at the close of the case when their voices were not heard. Freeman is offering to collect and compile stories and evidence from the public that could help inform the Court of the impact the Smalls’ alleged crimes have had on the community. Once Freeman has drafted the statement, she will liaise with the Crown to relay the concerns. In a statement posted online, Freeman encouraged people to provide a description of 1) what they feel is the harm or loss suffered by the equestrian community as a result of the offences, and 2) a description of what they feel is the impact of the offence on the equestrian community. She noted, “There are rules surrounding the content of these types of statements, and for that reason, unproven allegations, comments about the offences for which the accused are not convicted and opinions about the sentence are not permitted. “The best thing people can do in this case is gather evidence, should it exist, of past instances of the same or similar behaviour by the persons charged. If there is evidence of similar past behaviour this would show a long-term pattern of abusive or negligent behaviour, which would favour an increase in the penalty set by the Court should there be a conviction. Evidence could be things such as witnesses, photographs, videos and documents. Freeman said the sooner people contact her with their evidence and concerns, the better. She can be reached at sidfreeman@bell.net. The Smalls’ next hearing is slated for September 21, 2018, where they will each face charges under the Ontario SPCA Act of permitting an animal to be in distress, failing to provide adequate food and failing to provide care necessary for general welfare. If convicted, the maximum penalty for charges under the Act is two years in jail, a $60,000 fine or both, for each count.